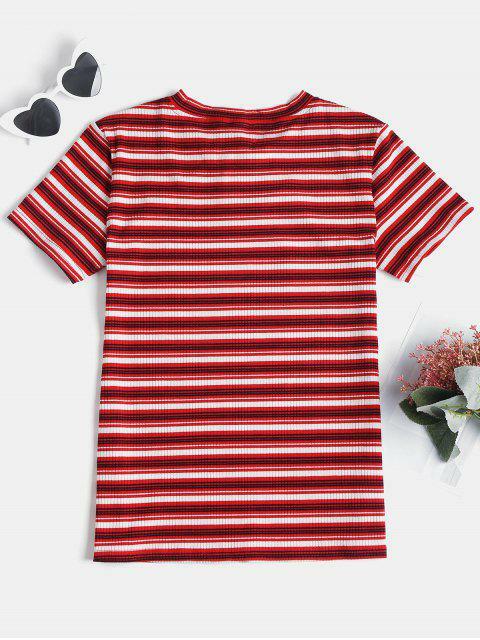 [44% OFF] 2019 Knotted Striped Knit Tee In RED WINE | ZAFUL ..
Lové It si much! Can do an easy match with it. 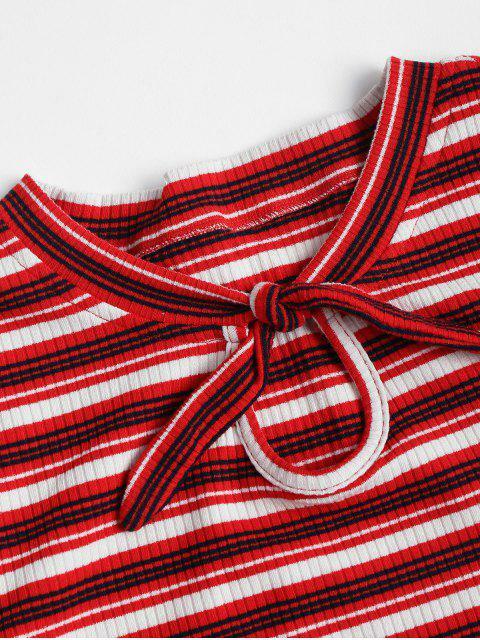 Crafted from comfy knitted fabric, this casual tee features a pretty bowtie collarline, contrasting striped pattern throughout, and modern ribbed detailing which adds charm and fashion. 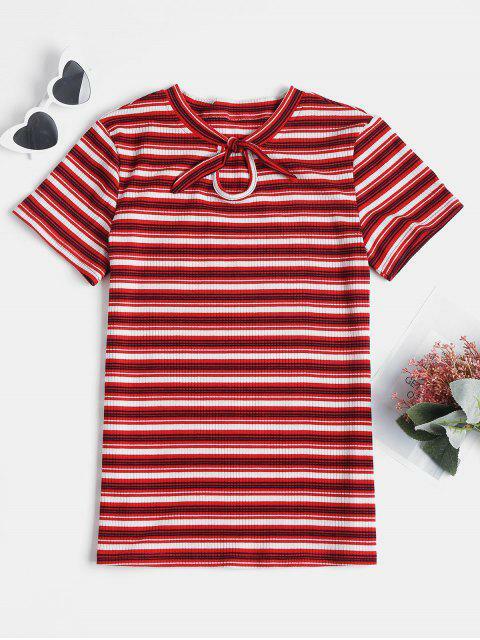 The small cutout gives an alluring feel.